Necklace Details: 18k white gold with a lobster lock. Measurements: 16 inches in length and 1.5mm at widest point. 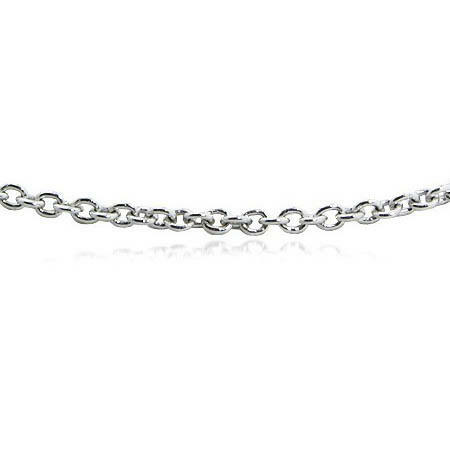 This is an elegant 18k white gold necklace! This chain would go with most of the pendants from our collection. This necklace contains lobster lock, measures 16 inches in length and 1.5mm at widest point.